Teachers endeavor daily to prepare the next generation of broadcasters. The rapid-fire changes in the broadcast industry can be challenging. But as many educators will attest, the challenges are no match for the passion and boundless enthusiasm of students. TAB's 2018 Educator of the Year - Danita McAnally - set extremely high standards for Texas broadcast educators to follow. After completing her Master of Education degree from Eastern New Mexico University in 1978, McAnally joined Navarro College in Corsicana as an Instructor of Radio-TV. In 1982, she was promoted to Director of TV where she managed the college’s LPTV station – in addition to teaching Radio-TV and Public Speaking classes. She joined Amarillo College as an Assistant Professor of Radio-TV, Mass Communications and Speech in 1987. McAnally held nine different positions in her nearly 28 years at the college with each position increasing in responsibility from faculty to administrator to executive. While journalism and production are key anchors of every strong broadcast curriculum, she singled out advertising as a field that needed attention. She understood the importance of providing stations in all market sizes a pool of talent interested in bringing the power of broadcasting to local and national advertisers. "Danita was truly passionate about widening the ranks of education institutions engaged with the Texas Association of Broadcast Educators (TABE). She believed, correctly, that doing so would bring a wide array of insights and perspectives to college classroom across the state," said Mac Aipperspach, Professor of Radio/Television at Del Mar College and longtime TABE secretary/treasurer. Throughout her two decades of involvement with TABE, she held numerous board positions and served two terms as President. 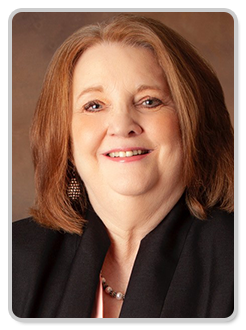 She retired from Amarillo College in 2015 and now works as a sales consultant in Amarillo, putting into practice the insights and skills she gleaned from a lifetime in the classroom.